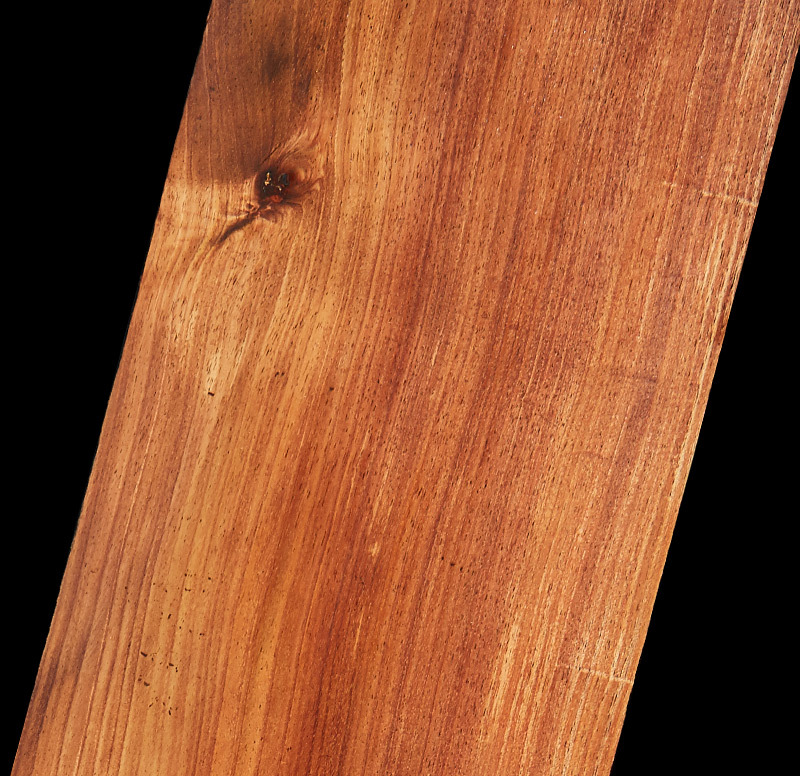 Tasmanian Blackwood (acacia melanoxylon) is one of Australia’s better known guitar building timbers, used both nationally and internationally. 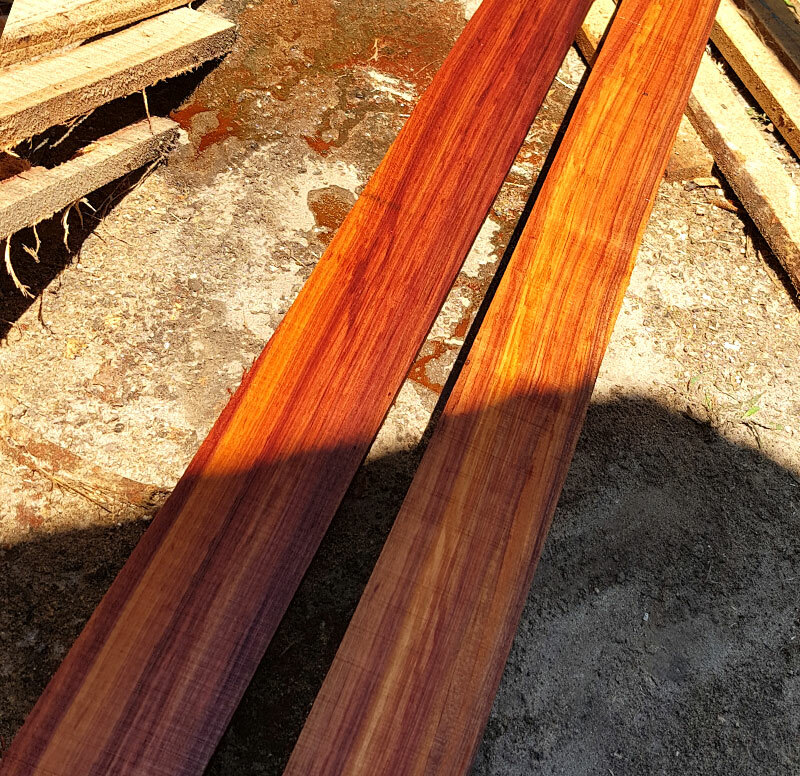 The properties of Tasmanian Blackwood make it a popular option for backs and sides of guitars as the timber is highly suitable for steam bending and gluing. 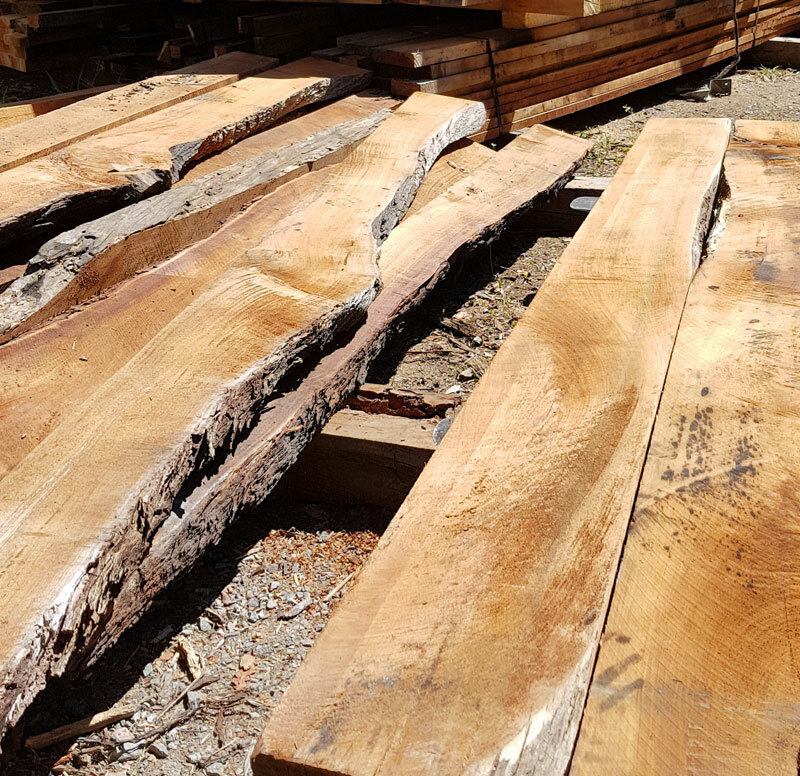 The Blackwood is sourced and processed in Tasmania, mostly being quarter sawn in various sizes and back sawn into 1 inch boards. 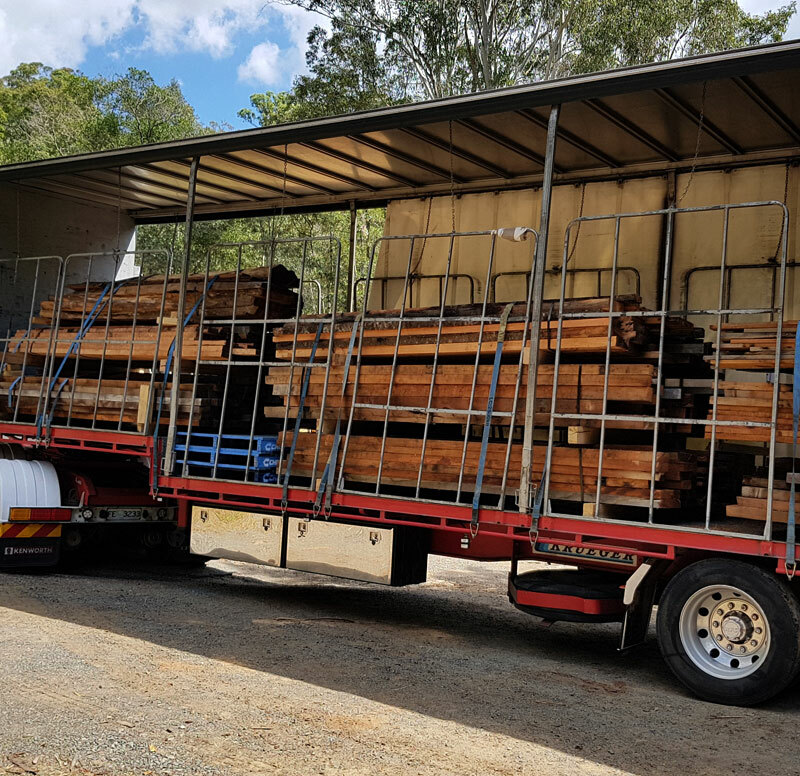 Over 10 years ago, Kirby Fine Timber (KFT) ventured into Tasmania and purchased 60 acres in the North East. The plot of land is listed as protected Tasmanian Devil habitat, ensuring proper environmental care is taken. Quality Blackwood logs are supplied from the property and other private landowners in the area. In addition to furniture boards, KFT cuts guitar backs and sides for Maton and Cole Clark Guitars and other luthiers in Australia and overseas. All logging is sustainable and done on approximately a 75 year cycle.